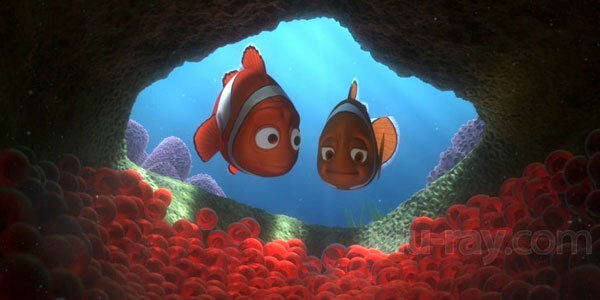 The sequence doesn’t last very long, and it’s one of many in the Pixar library that can produce tears, but the opening scene of Andrew Stanton’s Finding Nemo is certainly amongst the saddest the studio has made. Before we even get to know any of the sweet, wonderful main characters, we watch a barracuda rip through the happy home of Marlin and Nemo, changing their lives forever. It’s a shocking moment that many will re-experience in the run up to the release of the upcoming Finding Dory, but it’s a creative decision that the director defends for two reasons: it effectively shows the real danger of the ocean, and helps the film create an even emotional playing field for everyone. I like to try to tell a movie that works with the rules of the real world - which is everything is out there to get you, at least in nature, and can you do that? I think Bambi tried to do that a bit, and so I thought, ‘Let’s really embrace that.’ I really want you to feel about the ocean the way I feel about the ocean. It scares me and thrills me at the very same moment, and I’m never sure once things get past that mark whether they’re going to come out in the end. The other thing is that not everybody is a parent, but I knew what I wanted was everybody to be empathetic to what it’s like to be a parent. How can I make everybody feel what it’s like in that moment? A kid is born, and it’s the most vulnerable thing on the planet, and you feel like my only job now is to make sure this thing survives and lives and it’s the most isolating, lonely purposeful moment you can ever have. I had to somehow vicariously put you in that state, whether you are two or 82 and never had a kid, what that felt like. So those were the two things that drove me to do that, to get to that state. In my mind it was necessary to get into that state. It’s worth mentioning that Andrew Stanton’s Finding Dory doesn’t really seem to have an equivalent death in it, as both of Ellen DeGeneres eponymous characters’ parents are actually supposed to still be alive at the time the new story takes place – voiced by Eugene Levy and Diane Keaton. Of course, even without any kind of sad passing we still expect the new blockbuster to pull hard on the heart strings. Finding Dory is now just a few weeks away from release, set to come out on June 17th, and be sure to stay tuned for more of our coverage about the movie!